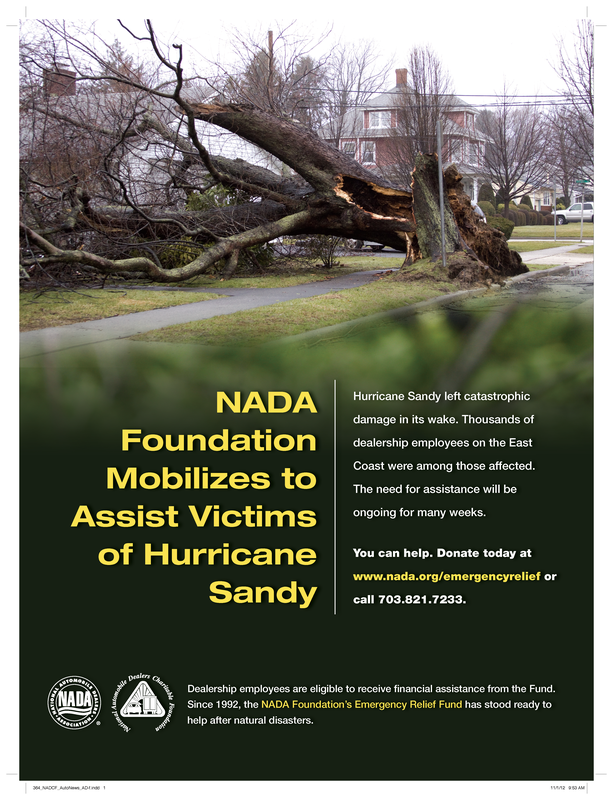 On behalf GCADA Members, the Automobile Dealers' Educational Assistance Foundation will be donating $5000 for relief efforts in the wake of Hurricane Sandy via NADA’s Charitable Foundation. All money donated to the NADCF Emergency Relief Fund goes directly to dealership employees affected by the storm. To further encourage donations to the fund and raise awareness of the availability of assistance for dealership employees, NADA has donated $1 million and has launched an ad campaign. Click here to learn about the Emergency Relief Fund and to donate.